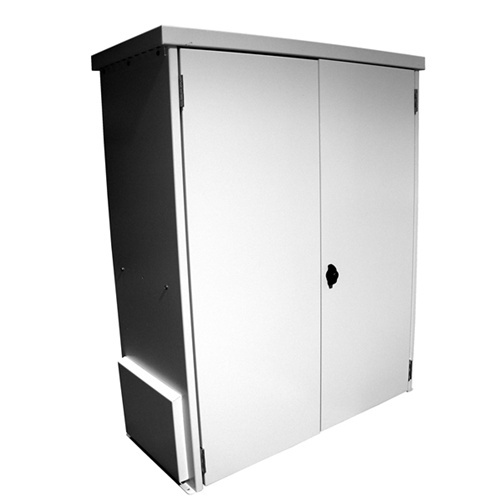 (Model MNBE-D), is designed for applications where a small battery bank is required. This enclosure is listed for indoor use. It can hold two Group 31 deep cycle batteries per shelf, end to end, or three batteries, side by side, or one 8D per shelf. Group 31 batteries are typically 105 amp hours at 12 volts. This stackable box is easy to assemble and comes with instructions.